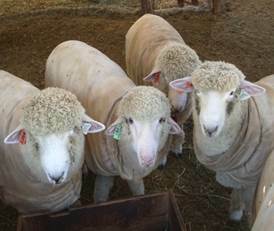 Romney’s are registered with the American Romney Breeders Association, A.R.B.A., http://www.americanromney.org. 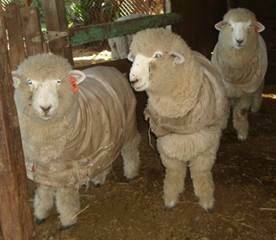 The Romney sheep are a medium sheep, 140 to 180 lbs for the ewes and 180 to 220 lbs for the rams. The meat is lean, well muscled and has a delicate taste. It hangs a high quality carcass. 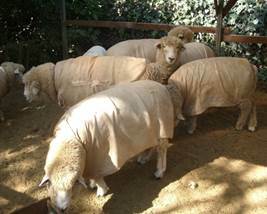 The fleece is unique: it is lustrous, it hangs in separate locks, is high yielding, over 70% and it is fine among the long wool sheep. 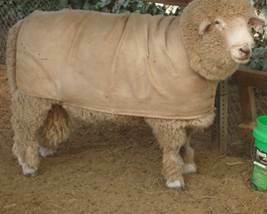 The Romney wool runs between 29 and 36 micron. Hand spinners like the wool. I show the Romney’s at fairs in California and Arizona. I am quite happy with the fair results and the sheep.